Discover all there is to see and do on the 260-acre grounds of Lied Lodge and Arbor Day Farm. Discover something new every season at Arbor Day Farm Tree Adventure. Here you can hike miles of forested trails, climb a 50-foot-tall treehouse, embark on the guided Discovery Ride, and play and learn in the Nature Explore Classroom. 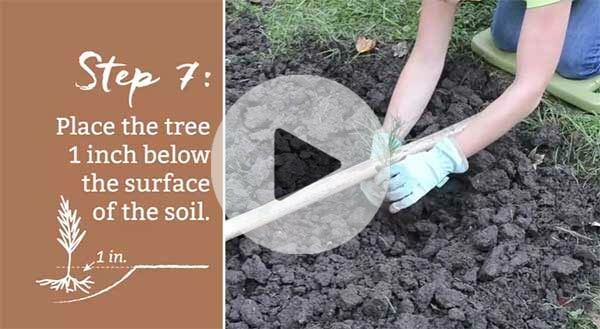 Your paid admission includes a tree seedling to plant at home. The Arbor Day Farm experience isn't complete until you've explored the many activities at the Tree Adventure. Open daily. Some tours include a free tree. Plant yours the right way, and it will thrive. Step back in time and be inspired for tomorrow at Arbor Lodge State Historical Park in Nebraska City. Visit the 52-room mansion, loaded with family artifacts and mementos from J. Sterling Morton, the founder of Arbor Day, the tree planter's holiday first established in 1872. Also on the grounds: a carriage house and tack room, Monument Square, a whispering bench, 200+ varieties of lilacs from around the globe, a playground, picnic areas, and other trails. Admission applies for mansion access. Arbor Lodge Mansion is open seasonally. View current hours or call 402-873-7222 for more information. Arbor Lodge State Historical Park is owned by Nebraska Game & Parks Commission, and is managed by the Arbor Day Foundation. Enjoy award-winning cuisine made with seasonal ingredients in the Timber Dining Room, open daily for breakfast, lunch, and dinner. Choose from seafood, steaks, locally produced pork and chicken, vegetarian options, an extensive wine list featuring Arbor Day Farm signature wines, and a decadent dessert menu. Children's menu also available. For reservations, call 402-873-8740, and find complete menu selections online. Whether you swim laps or just splash around, all guests are welcome in the olympic-sized indoor pool. Take a relaxing soak in the Jacuzzi or steam away stress in the red cedar sauna. Young swimmers will appreciate the separate baby pool, just 18" deep. The pool is open daily from 5:00am to 11:00pm, and is reserved exclusively for Lied Lodge guests. Just a few steps from the Lied Lodge & Conference Center entrance, explore the newly renovated Fuelwood Energy Plant Gallery to learn about the process of turning trees into energy and the importance of biomass. Watch as woodchips are moved through the plant and converted to steam that provides hot water (for the lodging rooms, kitchen, and indoor pool) and room heating and air conditioning for 120,000 square feet at Lied Lodge Conference Center. The interactive exhibit is hands-on fun for all ages. Open daily 9:00 a.m.-7:00 p.m.
Tour the state-of-the-art growing facilities where many thousands of tree seedlings flourish at Arbor Day Farm. Learn about the important role you play in the Arbor Day Foundation's tree planting mission and, in peak season, watch as thousands of tree seedlings are sorted, labeled, boxed and shipped to destinations around the world. Access to the Lied Greenhouse is included with your Tree Adventure admission. More about the Lied Greenhouse. Sip, savor, and enjoy Arbor Day Farm's selection of wines, made from grapes grown right here on our 260-acre property. Arbor Day Farm wine tastings are offered most Friday and Saturday evenings in the Lied Lodge lobby, 5:00-7:00pm. For just $7, receive four tastes and the wine glass is yours to keep. Questions? Contact the Lied Lodge front desk: 402-873-8733. Within walking distance of Arbor Day Farm Tree Adventure and Lied Lodge & Conference Center, the Apple House Market is your one-stop shop for Arbor Day Farm's freshest seasonal fruits and vegetables, signature wines, cider, fresh-baked pies, and unique gifts. Complete your visit with an apple cider or cherry slushie! See current hours. Call 402-873-8710 for information. Arbor Day Farm is situated near three beautiful Nebraska City golf courses, so there’s no reason not to bring the clubs. Guests at Lied Lodge receive exclusive access to the world-class 18-hole ArborLinks, which is adjacent to our property. Lied Lodge guests can add all-day play at ArborLinks for $95 or choose our special overnight golf package. Call 800-546-5433 to learn more or to book. Looking for group activities? Please see our complete list of group activities available for scheduling. Find more things to do in and around Nebraska City at GoNebraskaCity.com.